Originally published at CoreEM.net, dedicated to bringing Emergency Providers all things core content Emergency Medicine available to anyone, anywhere, anytime. Reposted with permission. 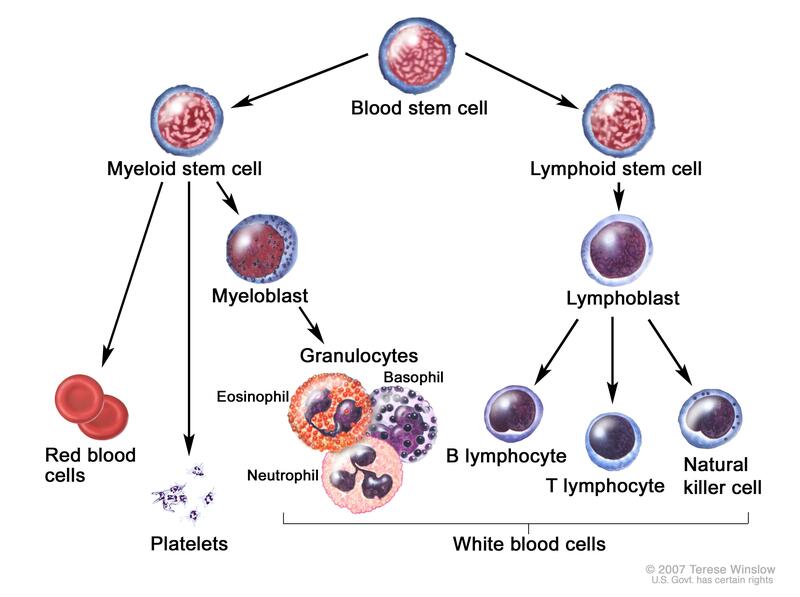 Definition: Chronic Myelogenous Leukemia (CML) is a type of hematopoietic neoplasm involving precursors cells committed to the myeloid line of cellular development (granulocytic, monocytic, erythroid or megakaryocytic elements). Contrary to acute myelogenous leukemia (AML), CML tends to develop more insidiously. Approximately 90% of CML patients will remain in the chronic phase. 10% will progress to accelerated and then ultimately blast phase. CML results from an acquired genetic abnormality causing the formation of the BCR-ABL proto-oncogene. 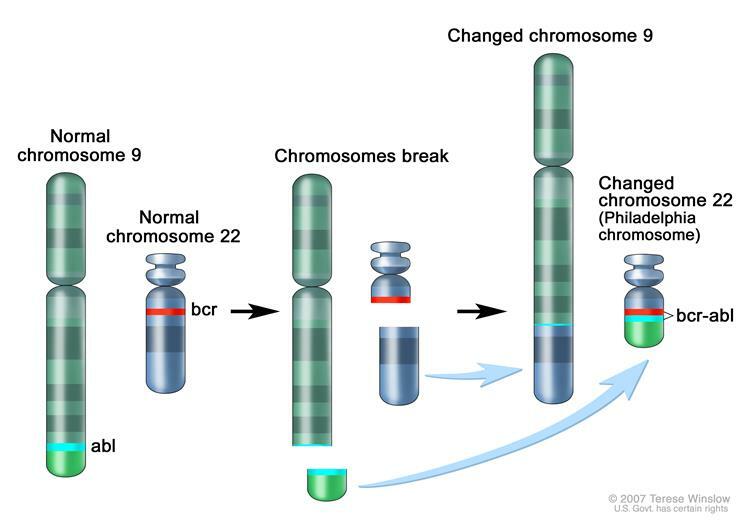 This is most commonly the result of a translocation between chromosomes 9 and 22, creating an altered chromosome 22, known as the Philadelphia Chromosome. Expression of the BCR-ABL oncogene leads to an unstable genome within the hematopoietic stem cell. This leads to increased proliferation of immature and nonfunctional myelogenous cells. Blast Crisis: A critical increase in circulating leukocytes, or leukostasis, leads to blood hyperviscosity and ultimately decreased tissue perfusion via the formation of white cell plugs in the microvasculature. The majority of patients in blast crisis will often present with signs and symptoms related to pancytopenia (anemia, neutropenia, thrombocytopenia). Expansion of the myeloid compartment with immature precursor cells effectively “crowds out” other cell lines leading to a relative anemia and thrombocytopenia. Visual changes, headache, dizziness, tinnitus, gait instability and confusion (Porcu 2000). 80% of patients with leukostasis present with fever. If the patient has symptoms concerning for leukostasis and hyper viscosity (CNS changes, renal dysfunction, cardiovascular manifestations etc), emergent consult to Hematology should be made for possible leukopheresis.